Springer Controls has a variety of electronic transformer temperature controllers specifically designed for dry applications like transformers, motors, and other industrial equipment. Selection is typically made by the number of temperature inputs required and the type of output required. 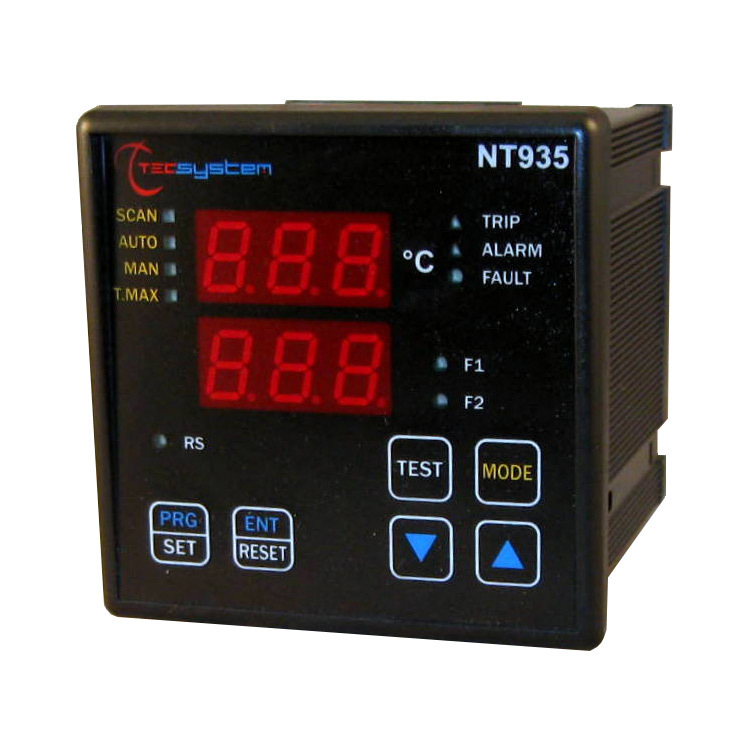 The NT935 has 4 RTD inputs to monitor temperature at 4 different locations. It is most commonly used for monitoring temperature with motors or dry/resin cast transformers, and comes in several versions depending on the preferred output type. All NT935 units come with 2 alarm output relays, 2 fan control relays and 1 fault relay for signaling sensor faults or other self-diagnostic faults. The NT935 can also be configured with Ethernet or RS232/485 & 4-20mA outputs. 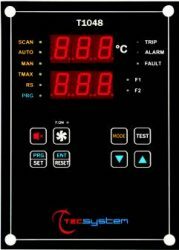 The NT935 also features our Intellifan function. 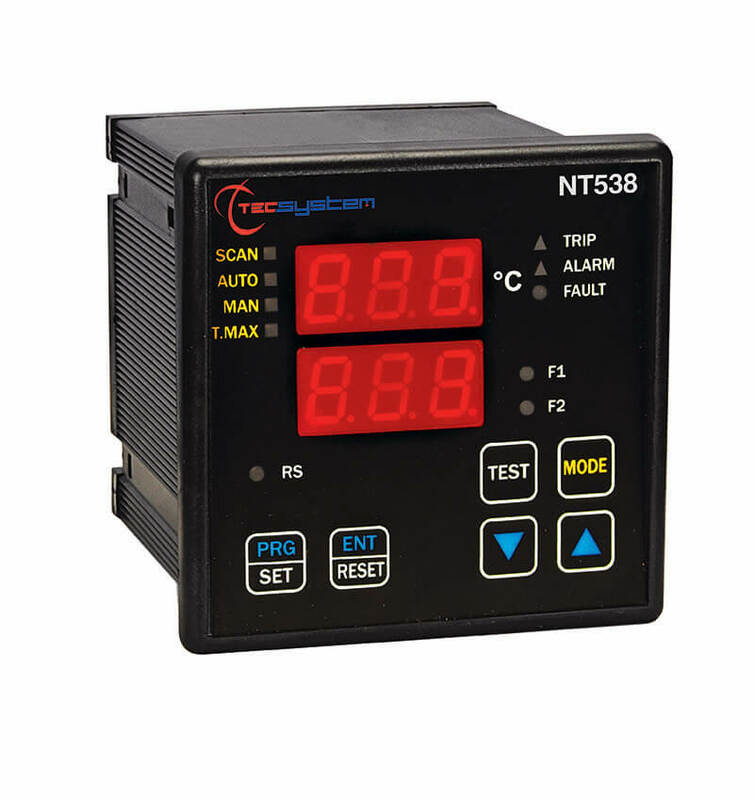 The NT538 has 8 RTD inputs to monitor temperature at 8 different locations. It is most commonly used for monitoring temperature with motors or variable frequency drives. It comes in several versions depending on the preferred output type. All NT538 units come with 2 alarm output relays, 2 fan control relays and 1 fault relay for signaling sensor faults or other self-diagnostic faults. The NT538 can also be configured with Ethernet or RS232/485 & 4-20mA outputs. 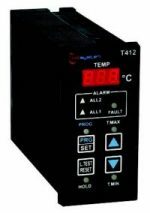 The T154 has 4 RTD inputs to monitor temperature at 4 different locations with channels 1, 2, and 3 using the same alarm threshold, and channel 4 independent. It is a more economical option for monitoring temperature in dry transformers. Outputs are: 2 alarm relays (ALARM & TRIP), 1 relay for fan control, and 1 fault relay for signaling sensor faults or other self-diagnostic faults. The NT539 is designed specifically for transformers with more than 3 windings. Featuring 9 RTD inputs and 3 alarm output relays, 3 fan output relays, and an additional fault relay for signaling sensor faults or other self-diagnostic faults. 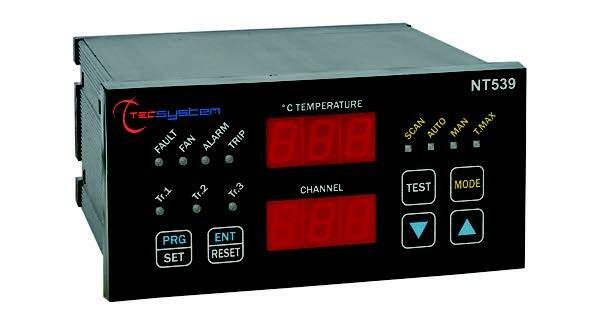 The T1048 has 4 configurable inputs for monitoring temperature in 4 different locations. 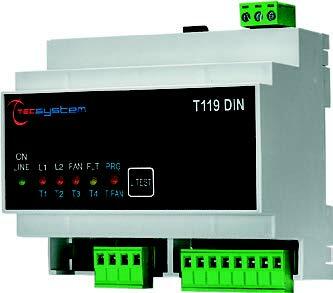 By changing input cards the T1048 can be configured to accept inputs from either an RTD or a thermocouple. 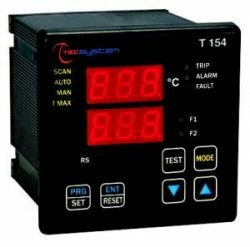 The T1048 comes with 2 alarm output relays and 1 fault relay for signaling sensor faults or other self-diagnostic faults. 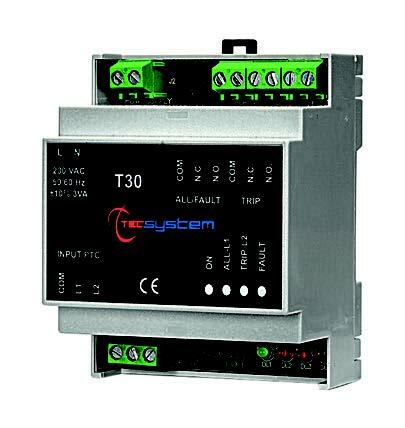 Additionally the T1048 can be fitted with Ethernet or RS232/485 & 4-20mA outputs. 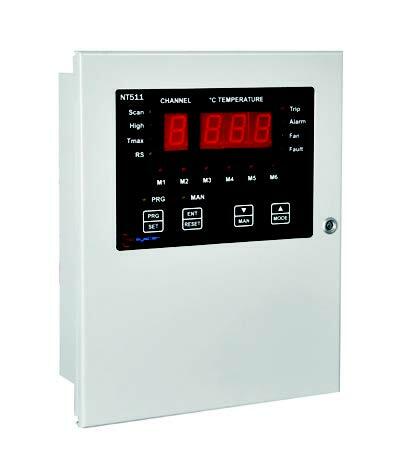 The NT511 AD temperature controller is a combination unit designed to control the temperature of a medium voltage dry transformer and control the power of the fan cooling system. It is intended for use with tangential fans, with 6 output relays rated for 1.5A at 230VAC to provide power directly to the fans. Every fan circuit is protected by a fuse and in case of failure will provide a fault signal to alert an operator. The T119 is an economical choice for simple protection of medium voltage dry transformers. It has 3 inputs suitable for use with our PTC or PTFE temperature sensors. It has 2 alarm output relays and 1 alarm relay for fan control with an adjustable time delay OFF function. The T412 is a great choice when a single hot spot needs to be monitored. It has 1 input that can be used with an RTD like our PT100. It has two alarm relays for different temperature thresholds and one fault relay for signaling sensor faults or other self-diagnostic faults. 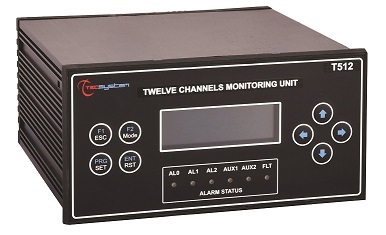 The NEW "intelligent multi-channel" T512 is commonly used to control motor temperature, but can be used anywhere you need to monitor up to 12 independent channels, and 3 alarm thresholds for each channel. With 5 output relays and a Modbus RS485 RTU output the T512 can handle the most comprehensive temperature control requirements.